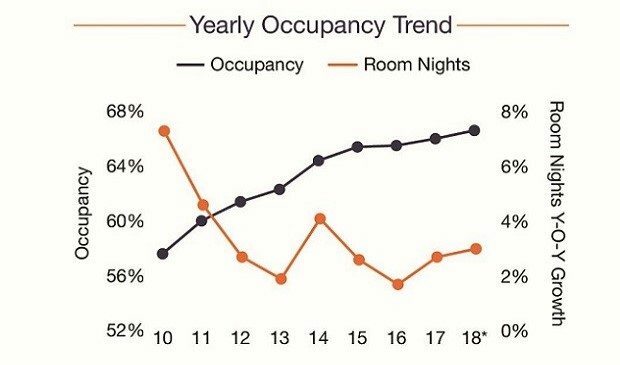 The steadily rising economy has led to more tourism and business travel, and driven hotel occupancy up across the US, according to stats from Marcus & Millichap. CHICAGO—When the US economy accelerates, business travel and tourism generally expands as well. That truism explains why experts express so much confidence in the hospitality sector. According to a new national report from Marcus & Millichap, strong employment growth and rising confidence levels will keep occupancy at a record high and support further RevPAR growth.